Viknesh Vijayenthiran June 12, 2015 Comment Now! 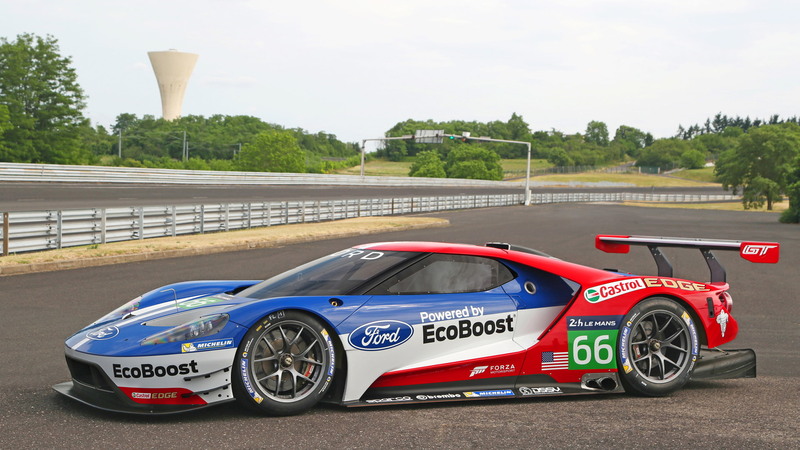 On the eve of this year’s 24 Hours of Le Mans, the Ford Motor Company [NYSE:F] finally confirmed what everyone’s been expecting: an official return to Le Mans in 2016 with a race car based on the all-new GT supercar. Yes, 50 years after Ford’s famous overall victory at the 1966 running of the 'race around the clock' using the GT40, the classic racer’s spiritual successor, the new GT, will mark the anniversary by also competing at Le Mans. 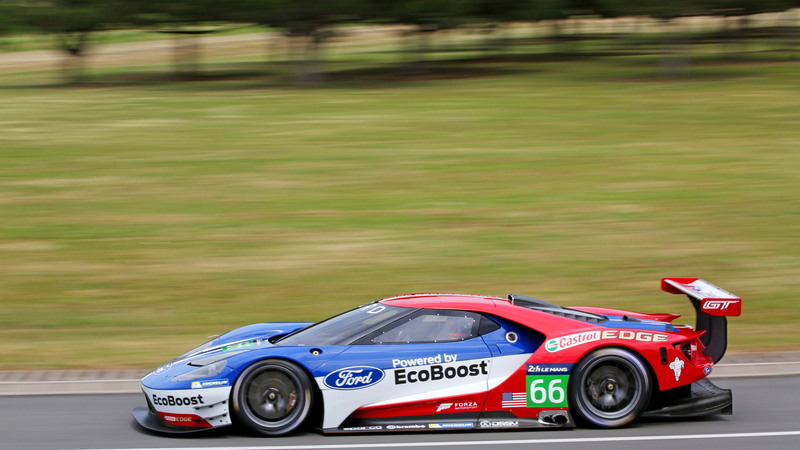 Ford won’t be entering the premier LMP1 class for prototypes. Rather, it will compete in the GTE Pro class, the highest class for production-based race cars. It means Ford’s new GT will be going up against cars from the likes of Aston Martin, Chevrolet, Porsche and, of course, Ferrari. 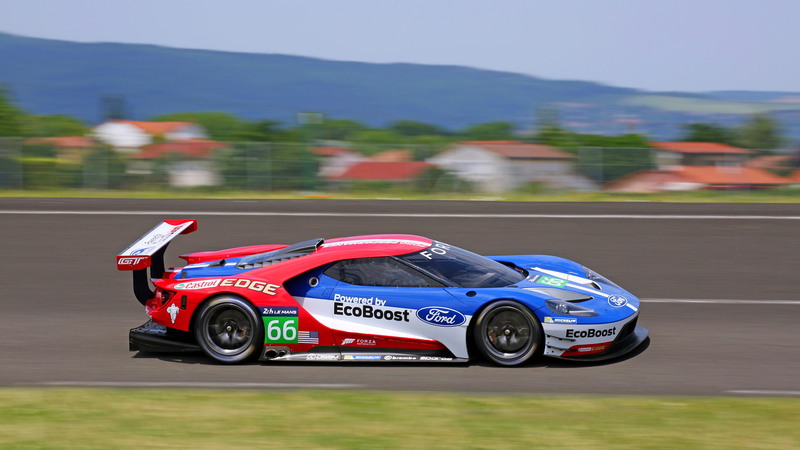 Ford will also compete in the full World Endurance Championship, which the Le Mans race is part of, as well as the United SportsCar Championship. Though it’s yet to be confirmed, we may also see McLaren join next year with a race car based on its own 650S supercar. The spike in interest in GT class endurance racing is due to a normalized racing format expected to be introduced next year for major competitions including the USSC and WEC. But getting back to Ford’s plans. The Blue Oval will establish a works team operated by Chip Ganassi Racing and businessman Felix Sabates. It will be a split-team, four-car effort, and the first port of call will be the Rolex 24 At Daytona in January. The driver lineup will be announced at a later date. In case you’re not up to date with Ford history, GT40s placed first, second and third in the 1966 running, ending the dominance of Ferrari. Ford went on to repeat its victory at Le Mans in 1967, 1968 and 1969. A mock-up of the new 2016 GT race car was presented today at Le Mans. It’s thought to be closely based on the road car due on the market next year, right down to its twin-turbocharged 3.5-liter V-6 EcoBoost engine. It’s a version of the engine featured in Ford’s Daytona Prototype that’s proven quite successful in the USSC. You may recall that Chip Ganassi Racing’s DP powered by the engine won this year’s Rolex 24 At Daytona. 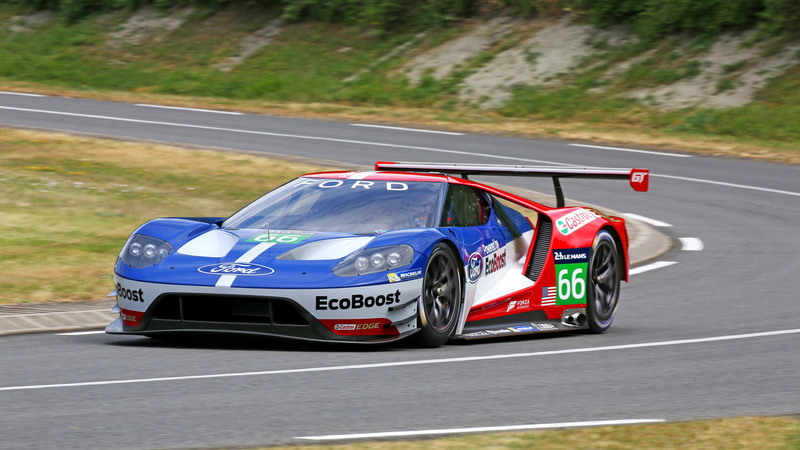 In addition to the compact yet potent powerplant, the new GT racer benefits from state-of-the-art aerodynamics delivering outstanding levels of downforce for improved stability with minimal drag; advanced lightweight composites featuring carbon fiber for an exceptionally rigid but light chassis; and the efficiency of EcoBoost technology—all crucial for winning at Le Mans. Joining Ford in this project are Multimatic Motorsports, Roush Yates Engines, Castrol, Michelin, Forza Motorsport, Sparco and Brembo. 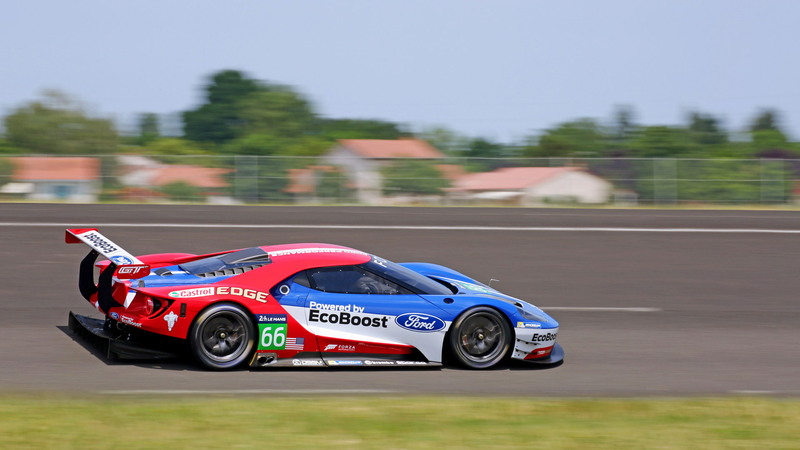 The race car has undergone extensive design and testing within Ford and Multimatic, with an initial shakedown test believed to have taken place last month at the Calabogie Motorsports Park in Ontario.